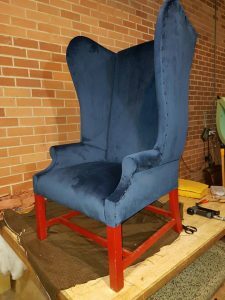 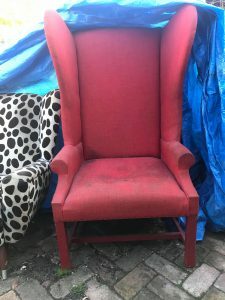 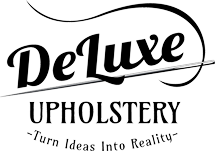 This one definitely looks like it came out of a disney movie, but this chair was actually an old Freedom furniture chair that my client had wrapped up outside collecting dust and mold. 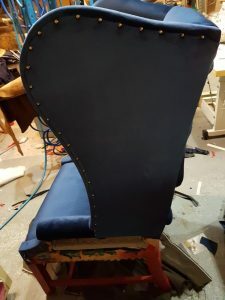 The wings are huge on this chair and that’s what makes it a unique. 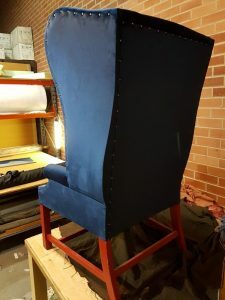 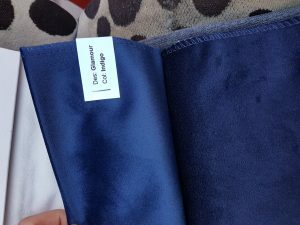 Looks awesome and goes great with its new blue velvet fabric.